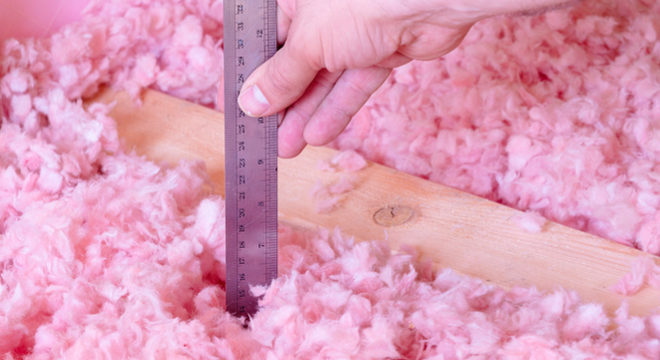 WHY IS IT IMPORTANT TO HAVE PROPER INSULATION? It just doesn’t make much sense to me. Why do some homeowners spend so much money heating and cooling the air in their home, but don’t take every precautionary measure they can to keep it from leaking away and being wasted? You may not think of it that way, but that is exactly what can happen if your home is not properly insulated. Same thing with a ductwork system that is not sealed tight. That precious climate-controlled air that costs a pretty good chunk of change to heat or cool can leak out through your home’s poorly-insulated attic or leaking ducts. With winter approaching, it is a good idea to check out your home’s insulation and ductwork, and that’s where your friends at Armstrong Plumbing, Air & Electric come in. Our Lubbock HVAC professionals will check and measure your home’s insulation – both in the attic and walls – to make sure the levels are sufficient and properly installed. We will also perform an analysis of your home’s ductwork system. Low indoor airflow, leaky ducts and having a system that is too big with undersized ductwork are just a few of the issues that can increase your operating costs and decrease your system’s efficiency. We will ensure that you’re getting the most benefit from your system with our ductwork evaluation, adjustments, and repair services. Other issues we will keep an eye out for when inspecting your ductwork include: mold/mildew, rodent/pest damage and excessive dust/dander/airborne particles that can cause blockage or lead to poor indoor air quality. If you notice drafts or increased utility bills, or you simply suspect your home is not properly insulated, give us a call. Likewise, if you notice diminished airflow coming out of your vents or visually notice damage or questionable areas of your home’s ductwork, let our pros check it out. It could be that your ductwork may need to be insulated. And while you are at it, let us tell you about our Armstrong Service Agreement Plan (ASAP). With ASAP, you can turn the maintenance scheduling over to our service department, so you don’t have to worry about it. Our ASAP service includes various levels to fit all budget and maintenance needs, so let us show you how it works! Winter is coming to the Lubbock area, so let us make sure your home is insulated and your heating system is ready … Better Call Armstrong!